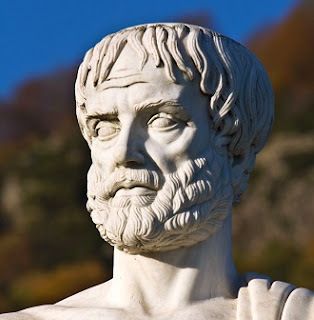 OK. My hero is Aristotle, for he was -- and probably still is -- the most enlightened person on the planet. Aristotle wrote extensively on the meaning and purpose of life, and he concluded that, “Happiness is the meaning and the purpose of life, the whole aim and end of human existence.” I am all in and would like to share with you how knowing and being appreciated for your innate talents and strengths can accelerate one’s happiness and sense of fulfillment. So, I am passing on the wisdom of my mother. Play to your strengths. Serve others and the greater good, and you won’t have to spend a lot of your life searching for meaning and happiness; meaning and happiness will meet you where you are. Roy Spence is Co-Founder and chairman of GSD&M, a leading national marketing communications and advertising company and Co-Founder and CEO of The Purpose Institute, a consulting firm that helps people and organizations discover and live their purpose. Under Roy's leadership, GSD&M has helped grow some of the world's most successful brands, including "Don't Mess with Texas," Southwest Airlines, Wal-Mart, DreamWorks, the PGA TOUR, BMW, the U.S. Air Force, and the Clinton Foundation. As a Gallup Senior Advisor, Roy advises Gallup teams on global strategy and on the mission and purpose of the most important companies and institutions in the world. This is exactly what many people in the market place need to hear and understand...I see many with special God given talents that go idle because they are in a job rather than living life and using their gifts for others. The search for happiness is using your strengths to inspire and serve others.